JBG Hot Spring Resort Hotel is a hot spring resort with a history. It is located in Beitou, where the first hot spring resorts began. Over 70 years of soothing the weariness, the resort grew and remodeled into the modern hotel as we see now. It is one of the most comfortable and modern resort in the area. 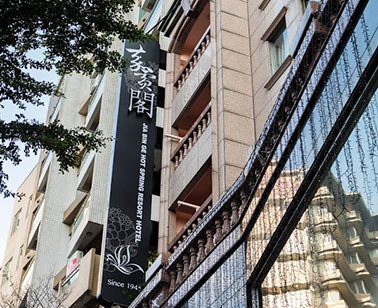 Situated in the center of Beitou near Xinbeitou MRT Station and Beitou Library, JBG Hot Spring Resort Hotel is close to many attractions like Xinbeitou Park, Taiwan Folk Arts Museum, Hot Spring Museum and Beitou Geothermal Valley. It is the best place to explore and enjoy the hot spring culture. The hotel provides a variety of hot spring rooms. Each room is installed with complete hot spring facilities to guarantee the best hot spring experience. It is suitable for vacation, getaway and family. The Taipei MRT takes you straight to Beitou where only a few minute walk to JBG Hot Spring Resort Hotel. The hotel also provides parking space for personal vehicles and valet parking service. 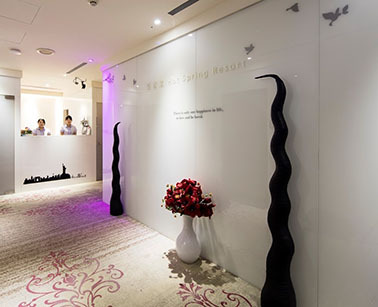 To ensure the best hot spring and accommodation experience for all guests with the finest facilities and service is what JBG Hot Spring Hotel Resort hopes to accomplish.